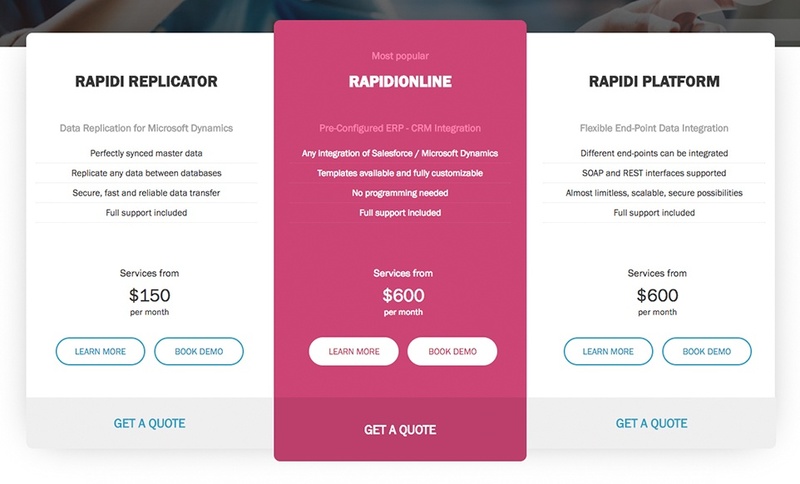 Rapidi is a data solution provider with a mission to evolve IT system data sharing and synchronisation in the business world. "We are problem solvers, committed to helping businesses perform better through their best possible use of data. We were among the first to solve the problem of data transfer, the first to creat a dedicated data integration tool and the first to offer a data integration platform as a service. Now we consistently work to be the best." Rapidi was in the process of rebranding their businesses and realised they were due for a website redesign. They needed a website that communicated their cutting-edge software services with a focus on improving their current design. Their website required a facelift and redesign that supported more streamlined, effortless user navigation that could facilitate a better user journey. 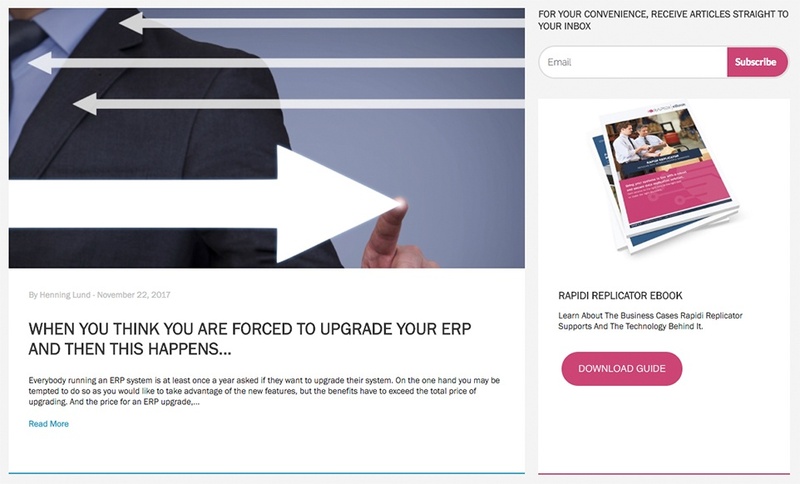 In our website discover, we identified a major pain point that was hindering the user journey and user experience on Rapidi's existing website. To reach the software-solution internal pages, users had to click on the solutions tab, be taken to a separate solutions page and from there, choose the appropriate option form a list of solutions. This resulted in frustration, causing visitors to bounce and exit before reaching the internal pages. The brand also needed a pricing page update to differentiate between their pricing options. Lastly, they expressed difficulty in tracking their goals and the results of their content offers. Reinhard Kirchner, our Head Designer, was faced with the challenge of simplifying the user journey and coming up with a UX-friendly optimisation, wireframing and prototyping was carefully carried out, to try to condense and restructure the heavily content-laden website. "We made the design very simplistic and divided everthing up into easily digestible chunks. For it to work with the same content and information, we liaised with the Rapidi team and re-created the content to support the new design." By stripping the content and designing a cleaner, clearer structure, we were able to streamline the user journey and create a drop-down menu from the solutions tab. Users can easily find the category they're searching for under this tab. With one click they'll be directed to a new page which lists all the solutions pertaining to their needs. 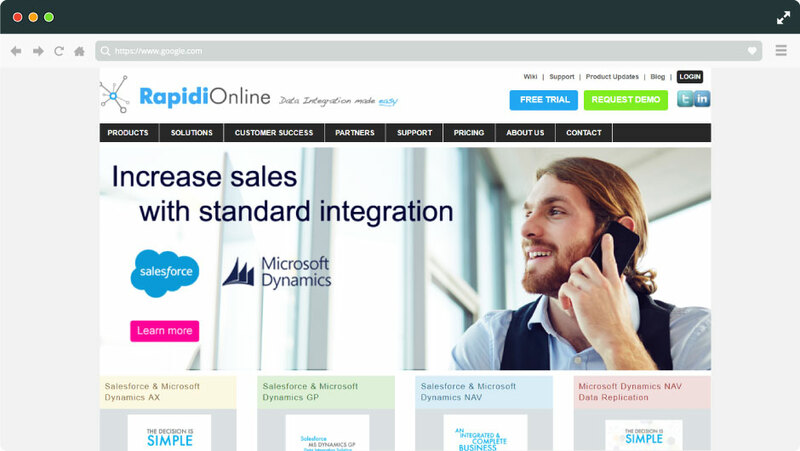 This solutions page also features a list of their support products which is useful in drawing visitors deeper into the website and encouraging sales. Many icons were designed and strategically placed throughout the website to break up sections and space out chunky content on site pages. For the pricing page, the team made use of HubSpot's personalisation tools (smart content) to automatically show currency specific pricing plans, based on geolocation. If users are visiting from the UK, their pricing would appear in pounds, and if from Europe or the US, it would appear in euros or dollars respectively. 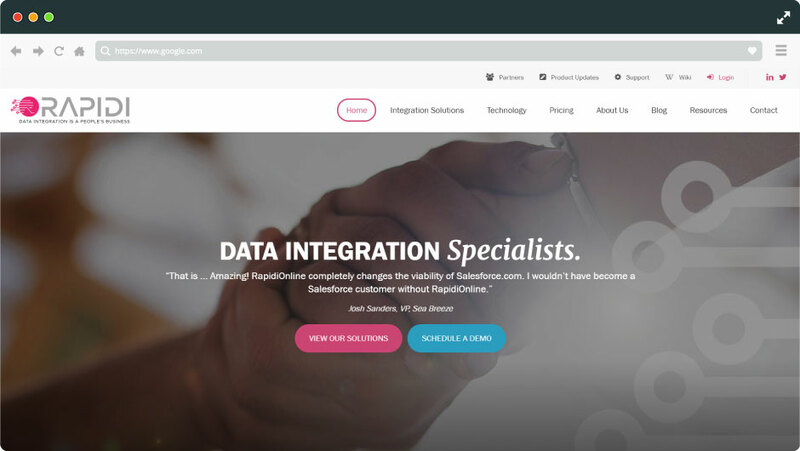 To tackle the issue of measuring Rapidi's marketing efforts, we suggested they build their website in HubSpot so they could track all of their marketing metrics in one place. 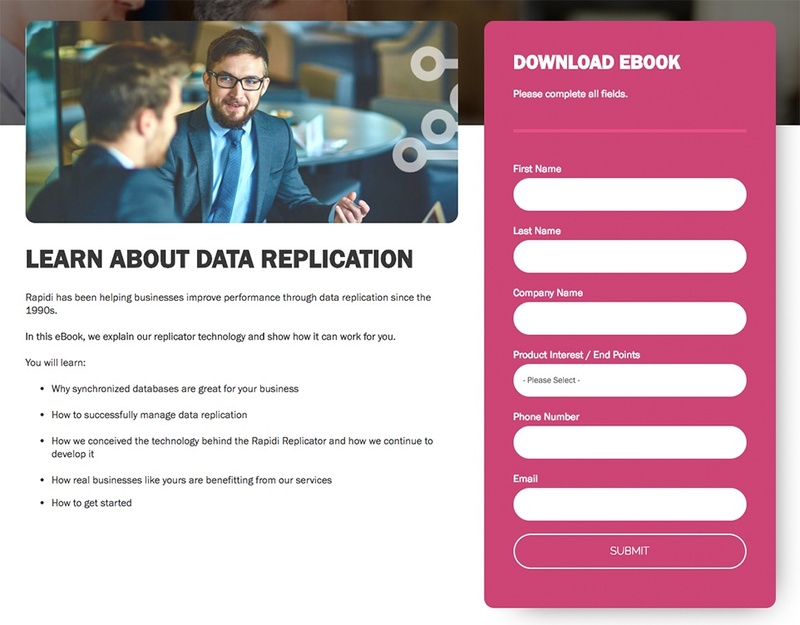 To boost their lead generation efforts, we created forms and landing pages, offering downloadable collateral, to collect user data as well as thank you pages to host the offers on. In an effort to further improve user navigation we built a topical filter into the blog listing header that allowed users to filter their blog search according to topical interests. The brand has an extensive range of downloadable content for which we created a two-step filter on their resource page that would enable them to filter by topic and format/content type. The result is one of our best pieces of design work to date. Not only did the team rally to create a very structured end-product, but the smart use of design and layout allowed us to make full use of real estate while still being able to house a great deal of content. The pricing page update improves the website's personalisation, as well as marketing aligned with the use of the HubSpot portal. The landing and thank you pages created helped to glean valuable insight into which content performs better than others, and allowing for a more informed marketing strategy. Visit the Rapidi website here.